The palette of illustrator Kelly Murphy is part dreamworld tonality mixed with a mysterious blend of colors. 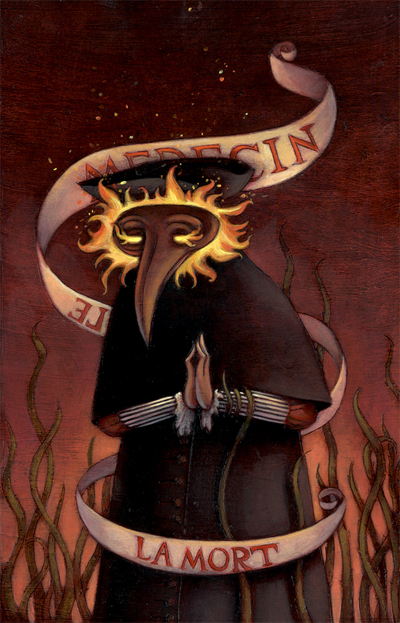 Haunting-eyed characters of folklore from secret realms grace the pages of Murphy’s portfolio and give a striking face to her signature style of earthen mediums. Murphy has had a prolific and much-deserved success as an illustrator beginning with her tenure at The Rhode Island School of Design. 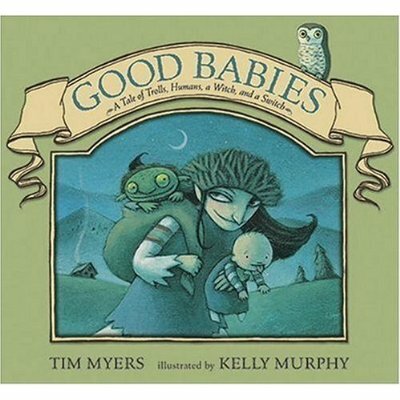 Murphy has illustrated such children’s books as the wickedly good tale Good Babies by Tim Myers and the fanciful Fiona’s Luck by Teresa Bateman. 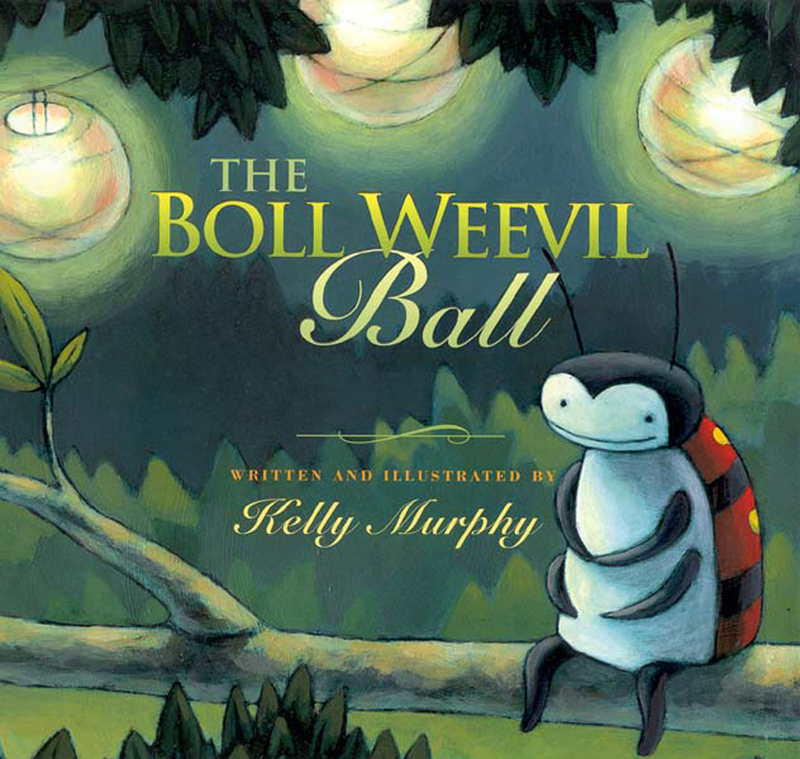 In addition to a number of other children’s book titles, Murphy has also written and illustrated The Boll Weevil Ball-a charming tale about a little beetle getting his big opportunity to shine. Kelly Murphy’s passion and sensitivity to the world is evident in both her artwork and her dedication to inspire others. 1) You attended The Rhode Island School of Design (RISD). What were some of the most valuable things that you learned while you were there that have helped your career as an artist? I attended the Rhode Island School of Design (RISD) from the years 1995-1999. I can honestly look back and say it was some of the best years, especially since it was the beginning of my artist development. It was such an intense environment, surrounded with other students who had the same interest, focus, and creative drive. One of the most important lessons learned, was that it’s not good to sit still for too long. The rigorous work load made it sure that almost all of one’s time was dedicated to creation. Watching a movie was never just “watching a movie” or a walk outside became, “that’s a nice sunset, but how the hell would you mix THAT color?”. I thank my lucky stars that RISD left me with a solid work ethic. Perhaps this is true of every art school, but I also left with the invaluable lesson of making anything and everything “yours”. 2) What is it like now, working as apart of the faculty at RISD? Working at RISD again, as cheesy as it sounds, is a dream come true. I remember while in school, I talked to friends about coming back and being a part of the faculty. I would have never guessed that it would have actually happened. It’s great to be back in the same halls, with some of the same faculty, but with a whole new crowd of students. They’re much younger, but I can’t help but feel like I am a part of their class. Come to think of it-I hope that doesn’t freak them out! So many things are changing in the illustration field, beyond just the obvious technology issues, so it’s great to be in contact with the new generation of young illustrators. 3) How did you promote yourself as an artist? Tirelessly. In the first few years after graduation, it wasn’t pretty. My mother makes sure that I tell people I cried almost everyday. I am a bit of a wimp. I knew it was a long road in front of me to get my work to a professional level, but I am not too sure if I knew what was coming ahead with the full jump into freelance. Initially, I made copies and postcards of my work then sent it out to a various amount of art directors and editors-editorial and publishing industries alike. I might not have gotten a steady stream of jobs, but any interest in seeing more work fueled my fire. In the first years, I also worked as a graphic designer where I honed my web skills… thus allowing me to build my first website. That really helped in cost and effort with sending out my portfolio. I also tried to get into NYC as much as I could, even though it scared the willies out of me. My first job was a book-cover for Farrar Straus, and Giroux. I am sure that if I did not have the courage to meet with an interested editor in person, I would have never gotten the job. Ten years later, it’s actually quite the same. I make sure to keep a current website, a steady flow of books (which act as the best self promotion), and try to send out seasonal postcards whenever I can. 4) How did you get your first children’s book illustration opportunity and what was it like working on it? While I was working full time and trying to improve my portfolio, through the encouragement of my friends and family, I started writing some of the words to these silly images I used to paint. I never had a finished story with them, but just the one time scene, with fun characters and a boatload of atmosphere. I never took any kind of children’s book class, so I was basically creating a dummy on guy instinct. First, looking at some of my most favorite books and what made them wonderful. I then got a sense of how many pages, the text design, and most importantly, how important pacing was. I made a teeny tiny little sketch dummy… and then sent it off to some of my favorite publishing houses. Months went by… a few rejection letters… a few more rough dummies… and suddenly, I got word from Henry Holt that they loved my idea, The Boll Weevil Ball. I was stoked. After I had signed the contract, and began creating the final paintings, I made the most important career decision. It was time to leave my full time work, in full pursuit of my freelance illustration career. The excitement and focus while I made my first book might not be matched. Well… mostly because I was no longer commuting 2 hours each way anymore! 5) What inspired your book, The Boll Weevil Ball? The Boll Weevil Ball is really a simple tale. Small people can do big things. I was the youngest of seven kids, and it was always a challenge to stand out. Whether I was too small or too young, I was always playing catch up. I decided that my main hero had to be a small bug from a series of tiny paintings I had done while still in school. He was a tiny little guy sitting on the sidelines of a party. He was perfect! 6) What other children’s books or illustrators inspire you? WOW. The list is never ending! 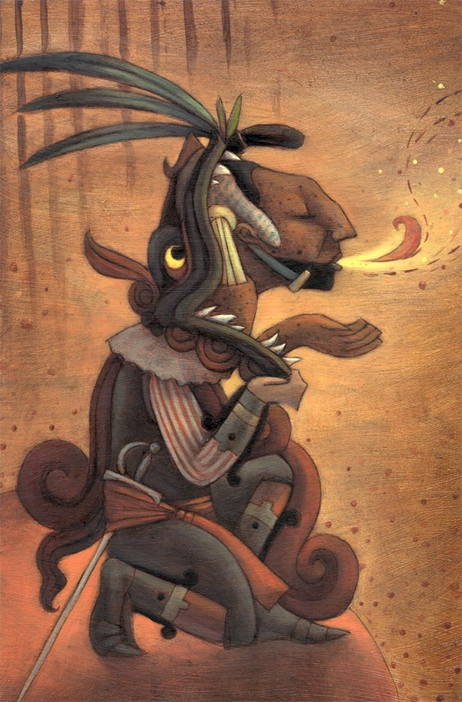 Everyday I learn of another amazing illustrator. Sometimes, it’s a little overwhelming! 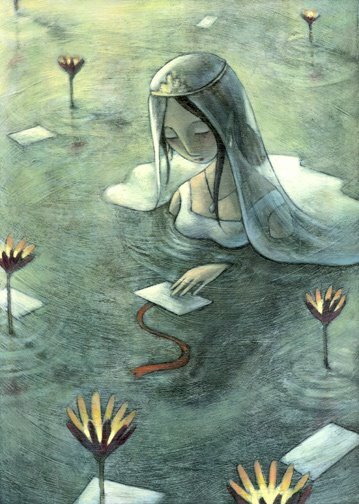 Some of my favorites include: Robert Lawson, J.Otto, Edward Gorey, Steve Johnson and Lou Fancher, Shaun Tan, Gerard Dubois, Chris Turnham, Benjamin Lacombe, Chris Van Allsburg, Lizbeth Zwerger, Gary Kelley… I really could go on forever. I think I really freak out my students when I talk about inspiring illustration. I get instant goose bumps and start to tear. I guess that is a little strange. 7) Please tell me a little bit about your collaborative work at Shybird Studios. I started working with Antoine Revoy in 2007. I had known Antoine since my college days, and his creative talents blew me out of the water. With him living in Paris and Dublin at the time, we talked about combining our creative juices to form something entirely new. I lived just outside of Boston at the time, so via emails and IMs we began to share a variety of drawings together. I loved his sense of character, playfulness, incredible detail, and movement in his pieces and he was driven by my atmosphere and color. The studio is still in its fledgling years, but hopefully, we will include animation and character design to our repertoire. We’re both on the same side of the ocean now, which helps, and with time we hope to increase our productivity. We are currently working on a collection of illustrations for haunted house stories written by Robert San Souci and published by Henry Holt. It’s a whole new level of creepy, and I am so excited! 8 ) What are some tips that you can give fellow freelance illustrators? Don’t give up. 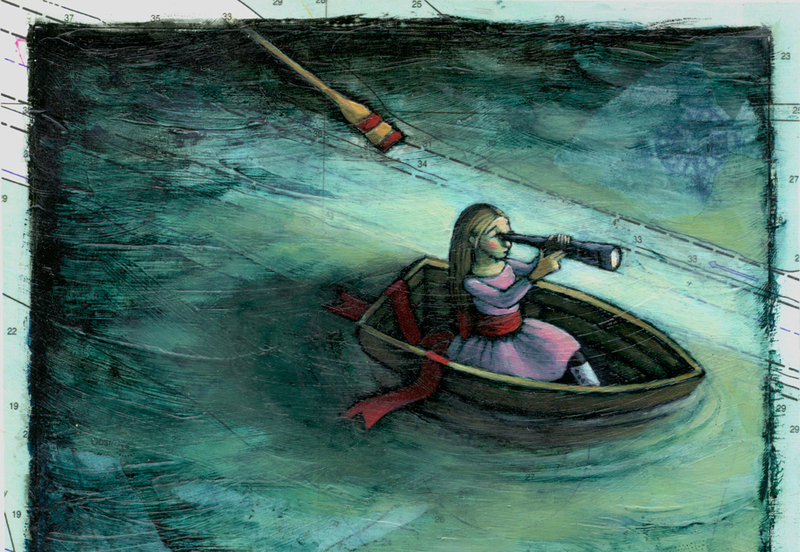 Have courage, and keep reassessing to improve your strengths as a visual artist. Not to make it sound like an over glorious occupation, but in addition to a little bit of talent, you need a lot of passion, determination, and persistence to succeed. I never chose this path to make a pile of money or to gain some sort of fame (hahahahaha, that’s a laugh! )… I chose it because I loved it. Illustration is what makes me tick. I’d also recommend surrounding yourself with like-minded people. Most illustrators I know are recluses, but connecting with others keeps you motivated and abreast of professional practices. 9) What projects are you currently working on? Let’s see… I have two picture books coming out soon. Brand New Baby Blues, written by Kathi Appelt (HarperCollins) in December, and in March 2010 the sequel to Hush Little Dragon called Over At The Castle, written by Boni Ashburn, will be published by Abrams Books for Young Readers. I also am in the sketch phase of a really fun monster book written by Jane Yolen for Candlewick Press. Can’t wait to start painting! 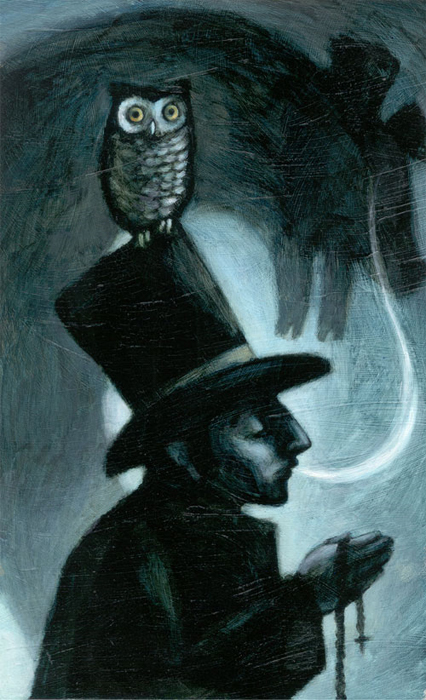 In the young adult novel realm, I am working on Book 3 of Nathaniel Fludd: Beastologist (Houghton Mifflin) and the aforementioned haunted house collection for Henry Holt, with my Shybird partner Antoine Revoy. It’s a ton of work, but you will not find a more grateful person to be working on all these projects!! Kelly is one of the best! Indeed! Thanks! I also did a review of All In a Day which I’m happy to see has been nominated for one of the best covers for 2009!